are you guys tired of these shorts? too bad, because i'm not. i practically lived in them last weekend and i'm ok with that. 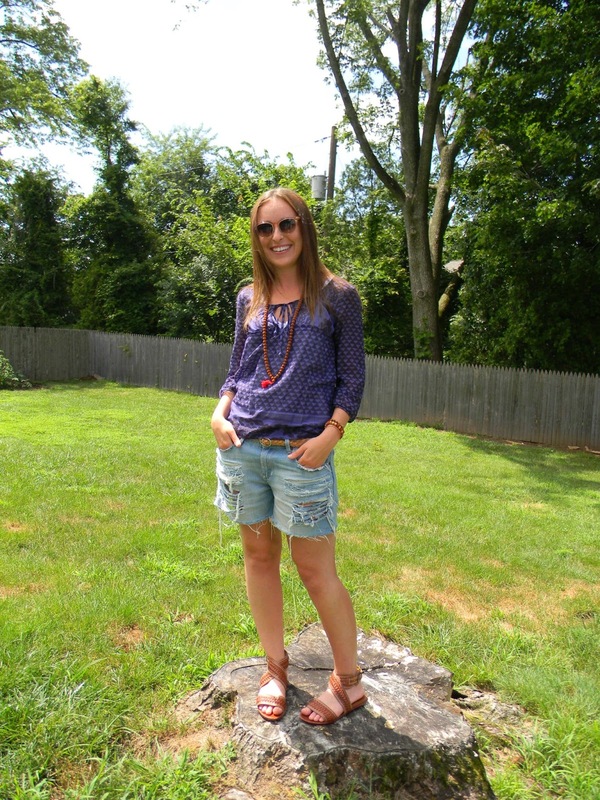 i "found" this purple peasant top in my closet when looking for something other than a t-shirt to throw on with these shorts! it was hiding behind some of my more frequently worn items. [signs you need a bigger closet, case #25,678]. You look so cute...love love love that necklace! I love how you have styled these cut-off shorts this week. They are totally you. I am loving the Sandals and Necklace.